We can ID this cuckatoo as a Sulphur-crested Cockatoo by its large size and white body with long yellow crest. 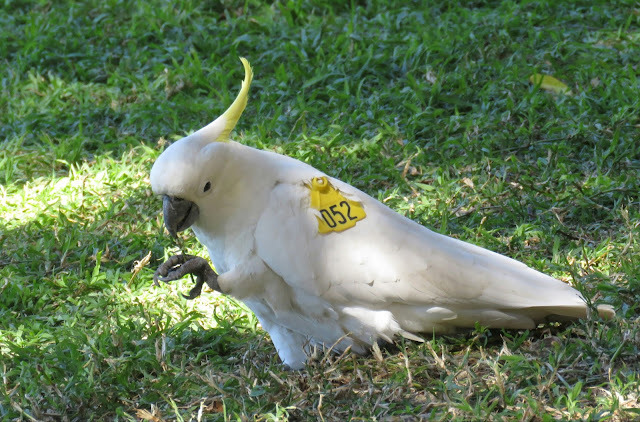 Both cockatoos have been banded. 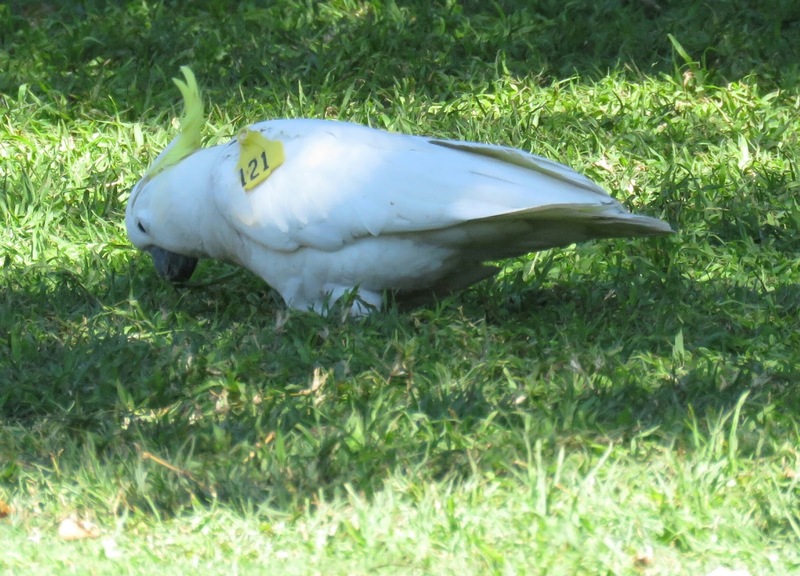 The Sulphur-crested Cockatoo is a new species to our Photographic Life List, which now stands at 613.